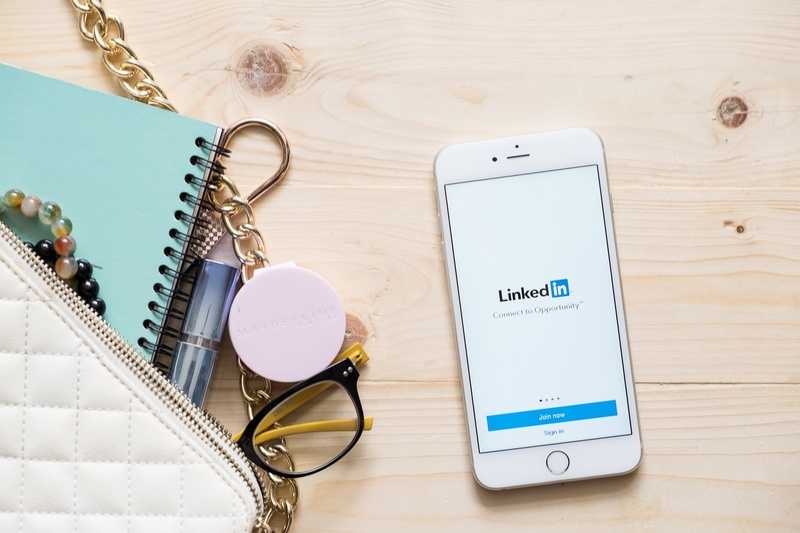 Facebook and Instagram have proved to be two very effective platforms when it comes down to marketing brands, but what about LinkedIn? 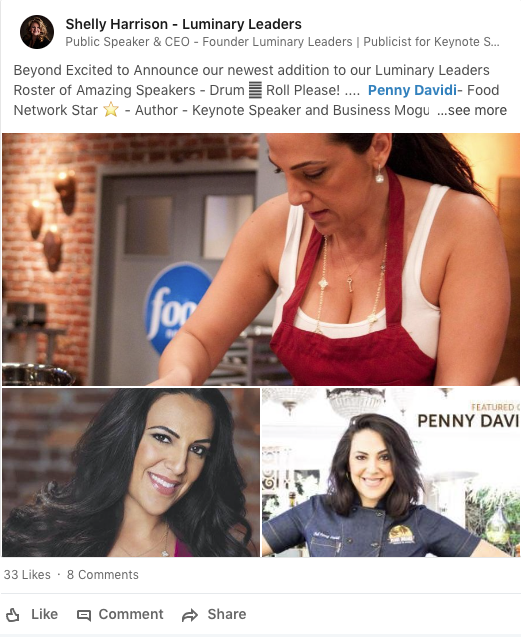 For years, LinkedIn has been known to be a wonderful community for entrepreneurs, professionals and a variety of businesses to connect. Today, the professional social network has become so much more. Over 500 million people are said to have a LinkedIn profile and are actively using it daily to locate jobs, network with consumers and businesses. Now, businesses and professionals are using LinkedIn to build relationships by marketing themselves as well as their companies... but how? There are several ways to market your business on LinkedIn. Let's begin. Determine what you want to accomplish because if you do not know where you want your company to go then it's like shooting arrows without taking aim. 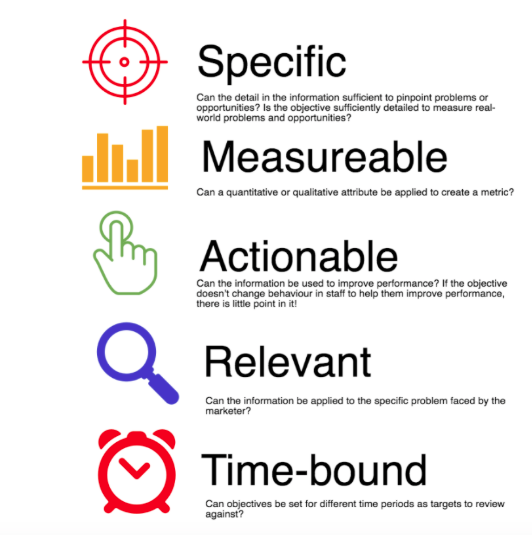 Having a marketing objective helps your company reach goals. So, in terms of LinkedIn your goal could be generating leads, raising brand awareness, or both. Make sure to follow the SMART rule (be specific, measurable, attainable, realistic, and within a time frame) when setting your goals. Receive a free social media audit. Learn more here. LinkedIn offers group forums where professionals and businesses alike in the same industry or similar interests come together and share different content such as blogs and other informative content. 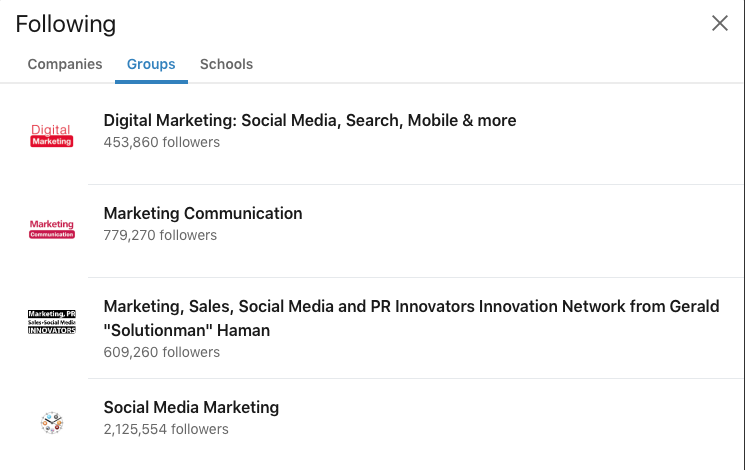 Go ahead and browse LinkedIn groups in the search bar that relate to your products and service. For example, if you're a copywriter looking to promote your services join blogger groups, copywriting groups or even marketing groups where other marketers might be able to find you. Make sure your content brings value and you are educating others. There are several ways to network on LinkedIn. 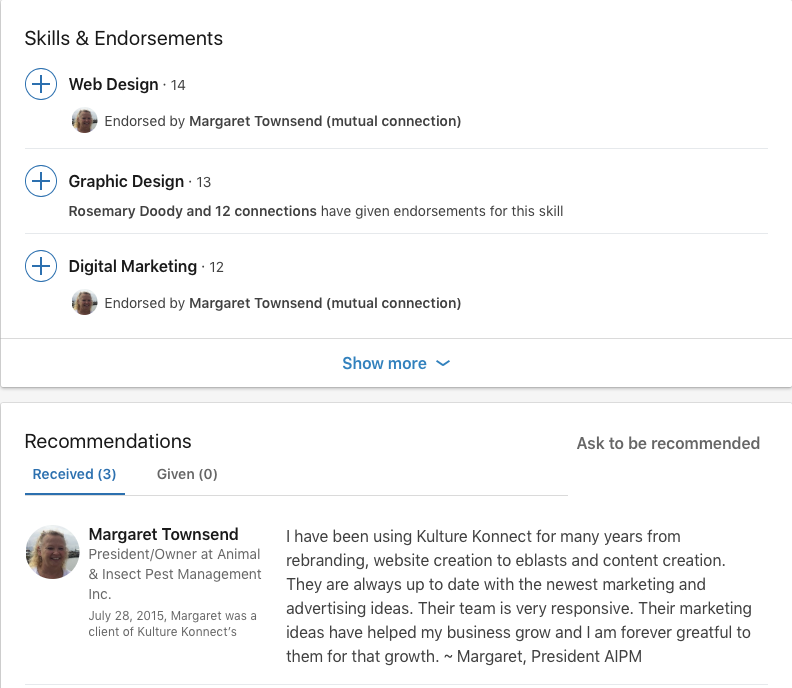 Get Endorsed - Back in 2012, LinkedIn added a section called "Skills & Endorsements" that allow other LinkedIn users who you have worked with to confirm your skill or skills listed on your profile. Ask several of your coworkers or even clients (past and present) if they would be willing to endorse you. That way new people coming to your profile can see how credible you are. Of course, always avoid adding skills you don't have. You want people to be able to trust you... not the other way around. Recommendations - If you are using your personal account then this is another section to your LinkedIn profile that really should be utilized. The whole point of the recommendations section is to have people who you have worked with leave positive reviews of their experience with you. This gives others who might be interested in your service an idea if you are worth the time. Talk to Your Followers - You will have people who you know and even people who you do not know who want to connect with you (as in add or follow you). If it's someone who you are not acquainted with, perfect! This is your opportunity to make new connections. Send a message introducing yourself. Find out if you can be a help to them. The same goes for your existing followers. Some might be past clients. Don't be afraid to attempt to reignite or reconnect. You might be able to get them back. Comment on Posts - Use hashtags to locate posts or comment on group posts too, comment on posts offering your professional insight, offer tips and include your website. Network with other people in the industry or someone that could be interested in your product or service. Watch for opportunities to reach out to these people, help them, ask a question, or respond to their comments. Follow People, Too - Grow your network. Use the search tools to locate possible leads. Look at people who have mutual friends. Ask your connections if they have any recommendations or anyone that could be potentially interested in your product or service. But with that said, don't go around asking all of your connections. The last thing you want is to annoy your followers. Choose the one's you already have a relationship with or figure out a way to build relationships with the connections you are not too familiar with. Write an article that helps others in some way or another. For instance, If you are an expert at social media share your insight about social media marketing. This is a very broad subject so, make sure to brainstorm subtopic's around your subject. If it's a helpful and informative article then most likely someone will share it with others. The more you help others, more people will see your contributions. When you create high quality LinkedIn articles that inform and explain your expert knowledge, users are able to get an idea of your skills which, in turn, builds trust. Come up with relevant subjects that will draw in your target audience and educate them. Also, don't forget your connections and LinkedIn followers will be notified every time you publish an article. Not to mention users can simply search for a keyword and hundreds of relevant articles will appear including yours. Again, this is advantageous to you because when people share your LinkedIn article, they share and promote you and your business. Like most social media networks, LinkedIn allows you to tag others in posts. If you have a blog or article mentioning another company or person, make sure to tag them. They might share your post and even add you as a connection. Once they share your post with their connections, there is always a possibility one or several of their connections will share it too. You can also do this in LinkedIn groups. Just click the "start a conversation" box, enter the title of your group post then insert your tag in the "add some details" box following with a link to your article. Interesting fact about conversions from LinkedIn: 80 percent of B2B leads come from LinkedIn. LinkedIn ads are extremely helpful due to the fact you're able to target a specific audience based on job function, job title, seniority, employer, location and more. 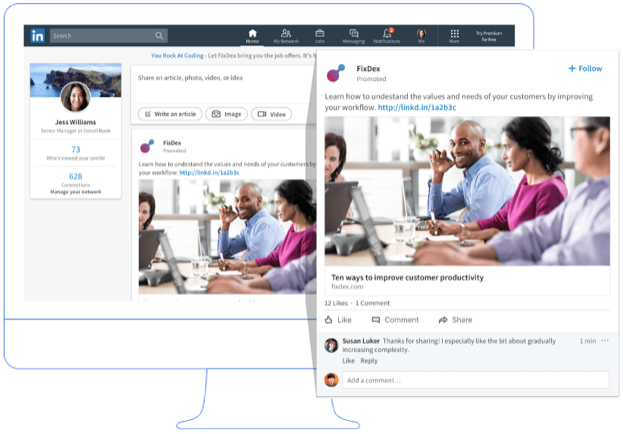 It’s the perfect place to share middle and bottom of the funnel content offers with your target audience, as people are more serious about finding business solutions and helpful content when browsing LinkedIn as opposed to Facebook or Instagram. Sponsored Content Ads - Allows you to promote posts on your company page to a specific target audience. These native ads say "promoted" at the top left corner of your ad. They sit in the LinkedIn feed alongside content that LinkedIn members have curated for themselves. Sponsored InMail - Is a more personalized approach. 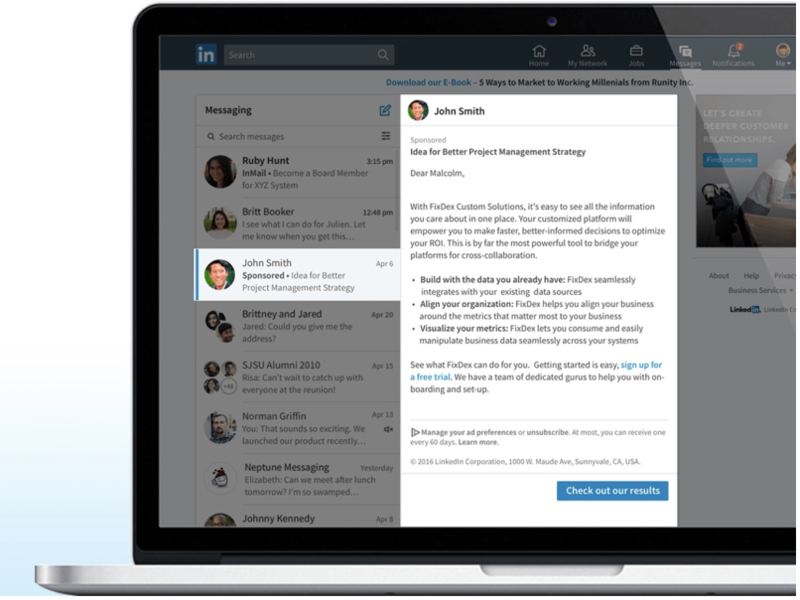 It allows you to send personalized messages to targeted LinkedIn members. A sponsored InMail message includes a customizable subject line, body text, and a call-to-action button. Text Ads - These ads help you drive traffic to your website or LinkedIn page. 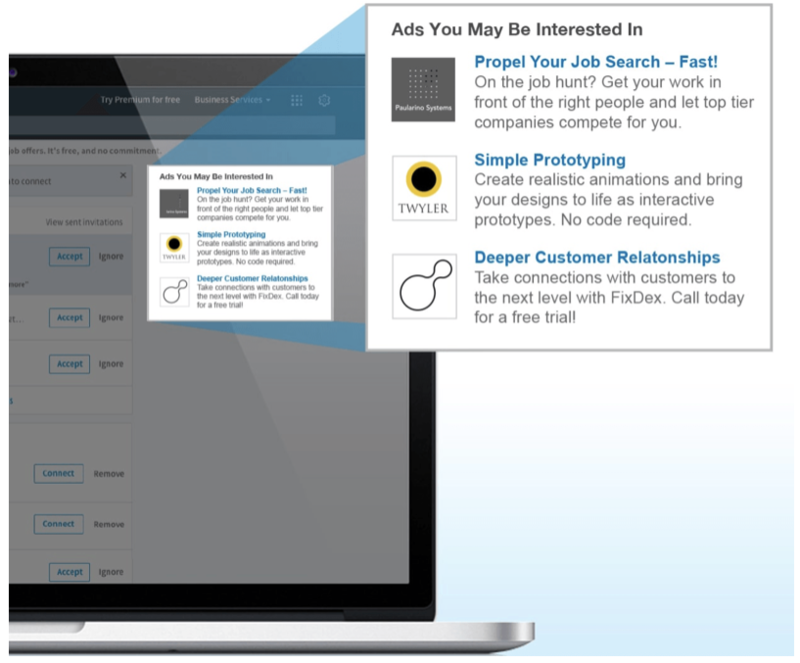 Text Ads are displayed in the sidebar of the LinkedIn newsfeed as well as LinkedIn messenger. If you are curious about pricing details for LinkedIn Ads click here. Looking to maximize your social media marketing? Contact us for a free quote (951) 479-5411 or email us info@kulturekonnect.com.